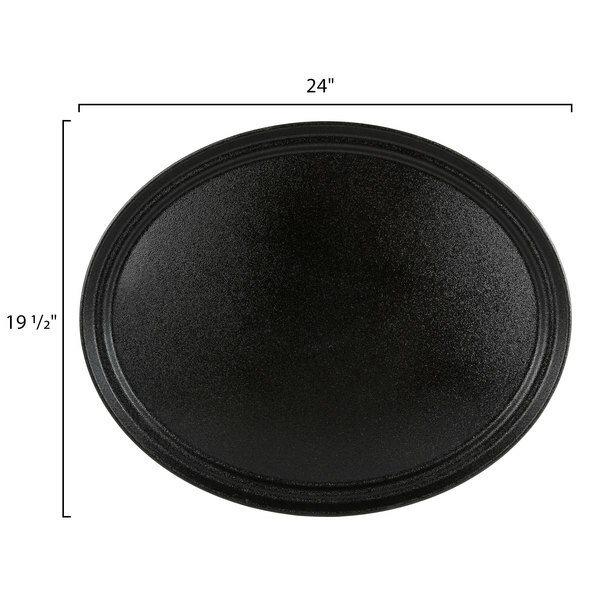 Thanks to its heavy-duty construction, this black non-skid Carlisle 2500GR2004 oval 24" x 19 1/2" Griptite 2 serving tray will stand up to years of heavy use! 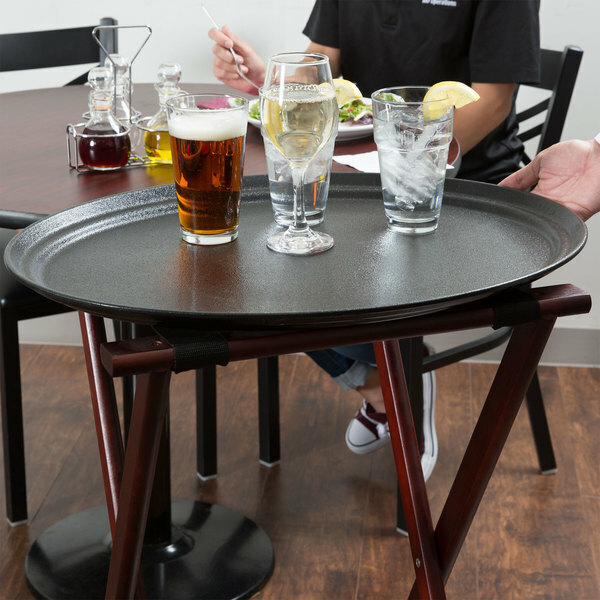 This service tray was engineered with quality while still providing a professional, aesthetically-pleasing way for your waitstaff to serve beverages and appetizers to your customers. 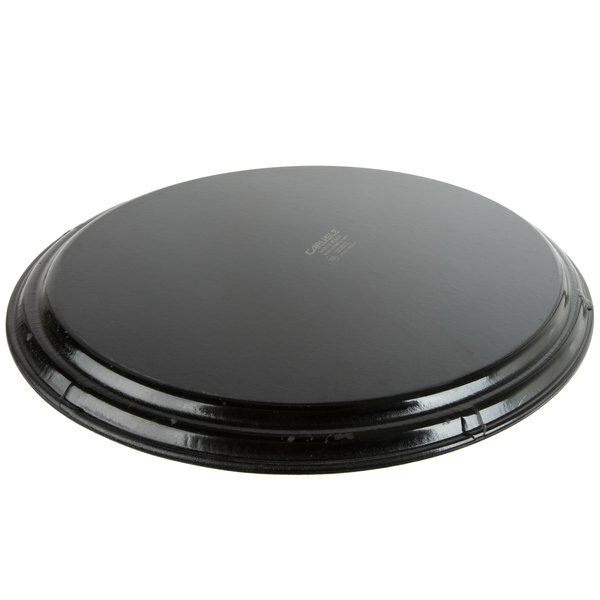 The non-skid rubber liner is permanently bonded to the tray and covers the side walls to provide extra grip to reduce spills, even at greater angles. 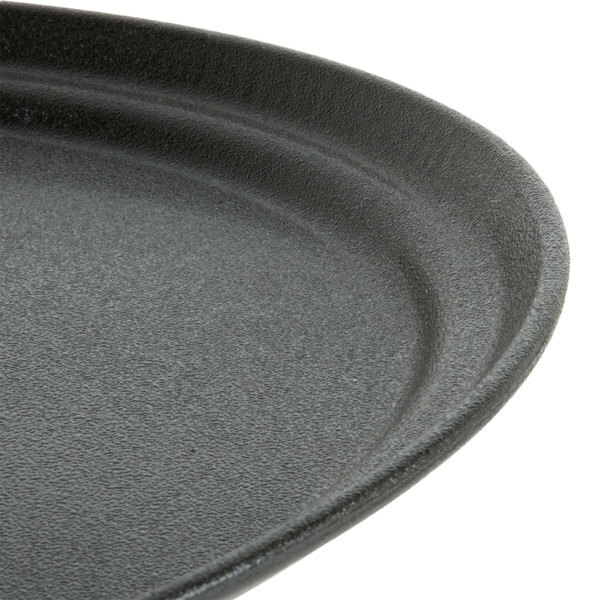 Built to last over time, this tray ensures stain resistance with a patent-pending coating that won't decay over time, keeping your trays looking like new for much longer than traditional ones. Since it retains its new look even after heavy use, you can save money on replacement costs resulting in higher profit margins. Additionally, its steel frame has been field tested and drop tested to ensure that it can withstand the rigors of even the busiest commercial kitchens. The 5-Year Limited warranty is null & void in the event of misuse or abuse. 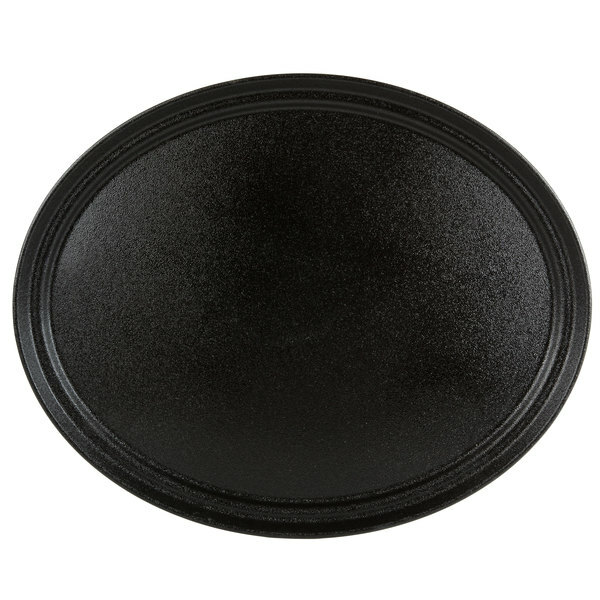 These oval trays are great for servers. Plates don't slide around on them which is great! The size is also nice to fit a couple plates on. Clean easy as well. I bought these for a Thanksgiving event we were doing for 400 people. I only had a few really old ones. These were not only a great price but they came so fast, i didn't have to worry about not having them for service. 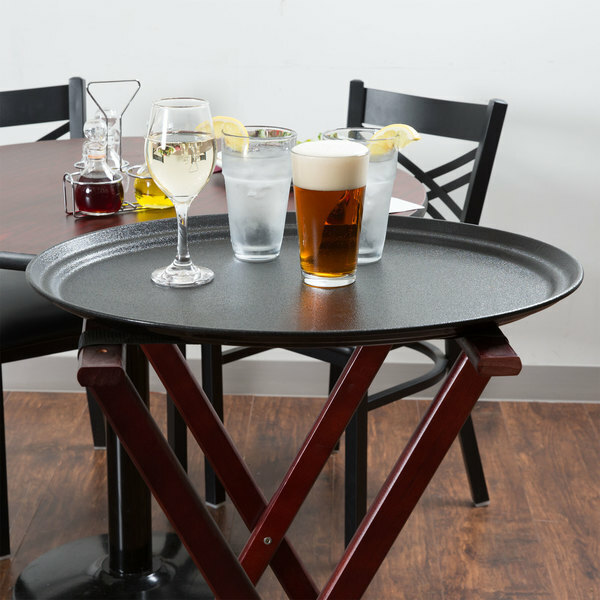 These trays are nice for banquet events!!! Easy to get a lot of good food out in a fast and timely manner!! Great non slip material!!! !